I have been tip-toeing about trying this one for a while. I used 2.5 tsp of powder of the suggested 2-3, 2 tbsp of hot water to disolve that in, then mixed it in to one cup of hot milk. Honestly, it smells gross. Something about the smell of heated milk just really puts me off, which is slightly odd, because chai lattes are kind of my love. This is an incredibly odd drink. I love chai, and I love matcha... but this is just odd. I really wanted to enjoy it, and I keep drinking, hoping that it will taste good, but it is just weird. 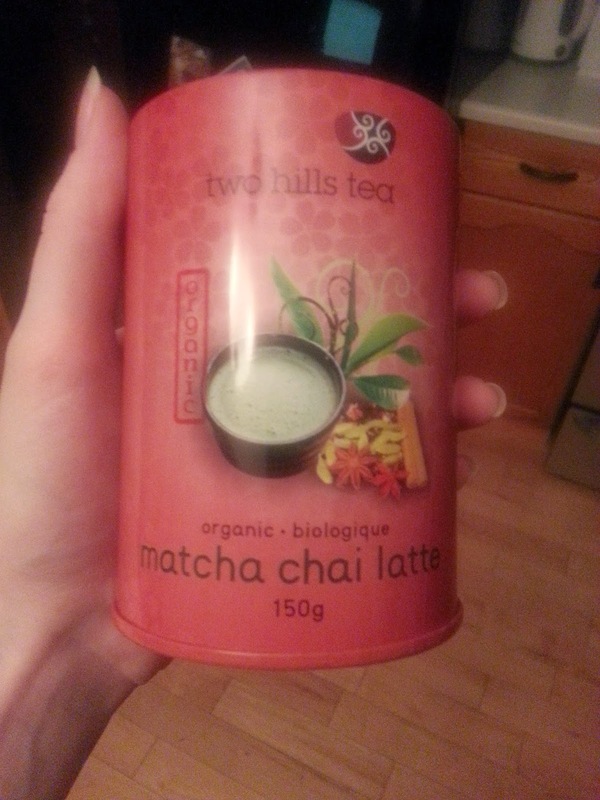 It tastes like someone threw some matcha into a chai latte. Take that as you will, I would recommend giving it a ry if you aren't put off, but I will warn that it is not exactly a cheap product. It runs around $12 can, and while you get enough product for it to be worth it, that only really means something if you USE it all. I will definitely give some to Laura so she can share her thought on this product.